You can purchase the book from SPD. 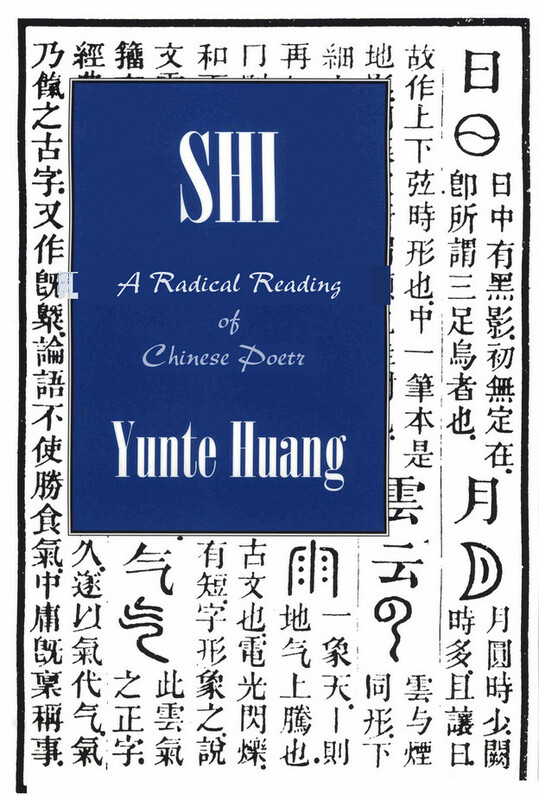 This book is not an attempt to grasp the “essence” of Chinese poetry, nor is it an endeavor to produce an over-polished version of English that claims aesthetic superiority over other works in the same field. It grapples rather with the nature of translation and poetry, and explores poetic issues from the perspective of translation and translation issues from the perspective of poetry. 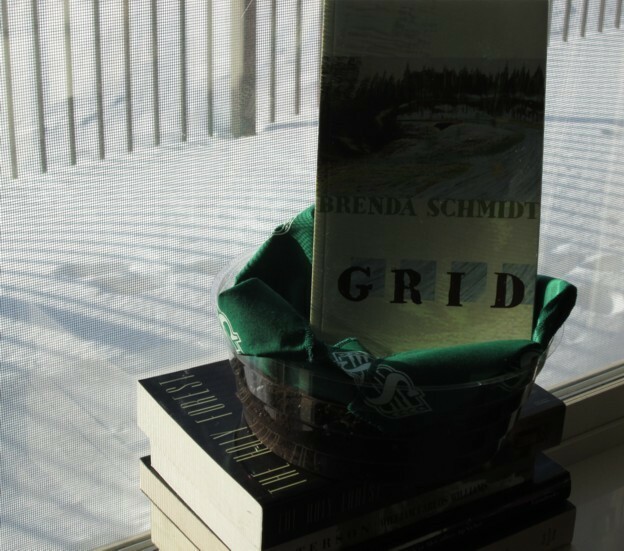 Looking from such a vantage point, translation is no longer able to hide itself in our blind spot; instead, the often-invisible face of translation is being brought to the foreground of poetic texture and the traces of translation’s needle work are being exposed to the reader’s view. With its agenda hidden, translation is too often a handyman for the metaphysical, mystical, or universal notion of poetry. When emerging from obscurity, translation becomes an ally with poetic material and enacts the wordness of the words. And this book strives to strengthen the alliance between translation and poetry through various textual and conceptual means that I will discuss now. 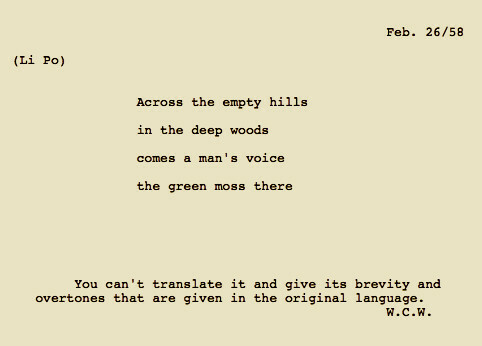 One of my favorite bits of William Carlos Williams’s writing in the last years. It is dated February 26, 1958. On that day WCW sent a letter of Chinese American poet David Rafael Wang. Wang was something of a Poundian (a correspondent of Pound’s — and a bit of a Poundian nut). WCW sent Wang a quick translation he’d just then done of a poem by Li Po, and added a note: “You can't translate it and give its brevity and overtones that are given in the original language.” True enough, but what WCW does I find pretty compelling. Above I’ve reproduced the look of the letter’s page. I've always felt that the voice heard (not heard — pictured) is simultaneously both that of WCW and of Pound and that this letter to Wang was a message to Pound. I haven’t looked in the Wang-Pound papers to see if indeed Wang passed along some word of this to Pound but I’m betting he did.